It’s time for another #TBT (turn back time not Throwback Thursday) and celebrate one of the best pop albums ever recorded and released. Yes, I am talking about the Princess of Pop herself, Kylie Minogue. 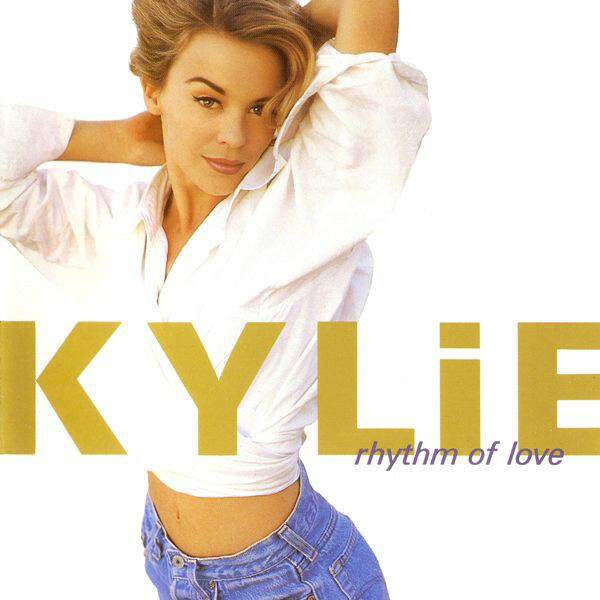 She released the album “Rhythm Of Love” back in November 1990 when I hadn’t even reached the age of 4. The album is a classic pop album with many spectacular pop songs included. There was of course the big first single “Better The Devil You Know”, the disco follow up “Step Back In Time”, “What Do I Have To Do” and then my big favourite “Shocked” which was released as a single in May 1991. I am going to be honest and say that I don’t remember this album from when it first came out. In fact, I didn’t really know who Kylie Minogue was until about 1997/1998 time. Music really came into my life in about 1996 and until then my memories are all of childhood creatures and toys, not music. I became a big fan of Kylie Minogue in 2000 when she came back with her big pop album “Light Years” and was in the forefront of the UK music industry at the time. Since then, I can safely say that I am a massive fan of Kylie and of course have traced back all of her earlier catalogue from this time. “Rhythm Of Love” was the one cohesive album that stuck out for me as having great songs from start to finish and there was no filler moments. Away from the singles on the album, there are a lot of unreleased pop gems which deserve a mention on here. “Things Can Only Get Better” should have been the 5th single from the album and is another big pop anthem and then we have the title track “Rhythm Of Love” which is a track which was not written by Stock/Aitken/Waterman but is a big pop highlight on the album. What are your favourite tracks from this album? Any memories from this time you would like to share, get in touch! Kylie Minogue, as you all know, is still very much on form and her recent tour goes to show why her music is standing the test of time. I am really inked to be seeing her live again in the summer at Hyde Park and I really hope she performs at least one song from this album. Maybe she will perform this old classic? Thank you for reading and stay tuned for my next #TBT.